It is with a great sense of pride, I open my thoughts and believe the service for humanity by us will grow with a mighty strength and hope the time you spend here is fruitful. It is with a great sense of pride, I open my thoughts and believe the service for humanity by us will grow with a mighty strength and hope the time you spend here is fruitful. It has been my privilege to serve this wonderful organization since 2010 as a founder President. We are leaders because we are good-hearted and want to do good in the society. We realize that by joining with like-minded people we can achieve great things. 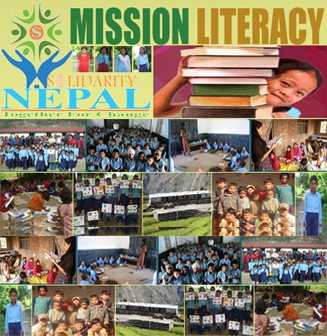 From Kathmandu valley to various districts of Nepal, you will learn about Solidarity’s impact on lives of different people. The challenges facing Nepal today are formidable: illiteracy, poverty, high unemployment, and a host of pressing problems from climate change. We are the global change makers and agents of CHANGE. So, it is our responsibility to minimize these issues. History cannot be changed but can be created. We believe in service and role of young people for transforming the society. We recognize and support their role as creative problem solvers. As a result, we engage each and every young people as partners in our five project area that includes Education & Empowerment, Health & Social Care, Community & Rural Development, Special Area Project and Environmental Project to contribute in the society. 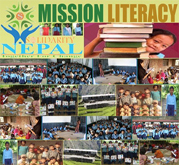 This year I am asking people to join our project “MISSION LITERACY” that can assist the children of underprivileged communities to expand a far better education, scholarship to give shape to their dreams and ultimately a much better future. This project also supports the Technical Education and IT Infrastructure that can be given to the students and teachers in different schools in remote areas of Nepal. 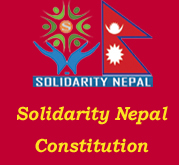 I on behalf of Solidarity Nepal would sincerely thank all who have supported us, have been providing enormous support and invite other interested organization and group of individuals to join our hands with us with our best-known motto “Together For Change”.